Super stretchy, lightweight pants good for any discipline. Lightweight sport climbing gear—quickdraws, harnesses, what have you—is about the essentials: stripping away the superfluous features and doohickeys to save grams. 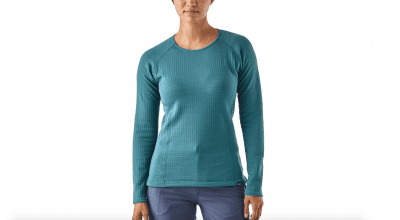 Sport climbing clothing should follow suit, right? Do you really need pants with five zippered pockets, padded knees, and a see-through compartment for your smartphone? Kailas, a company based out of China, certainly doesn’t think so. After putting their 9A Classic Pants through the wringer on granite, limestone and sandstone, we’ve started to find ourselves reaching for them whenever they’re not already in the hamper. 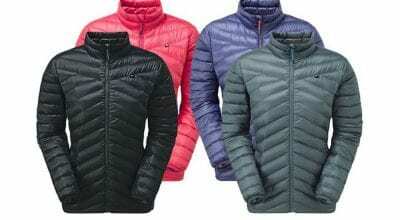 Kailas is company that’s slowly been gaining more visibility in the U.S and European markets. They manufacture everything from carabiners to puffys, from ropes to ice tools. In China, you’re unlikely to visit a crag without seeing a local crusher decked out in some vibrantly colored Kailas attire. 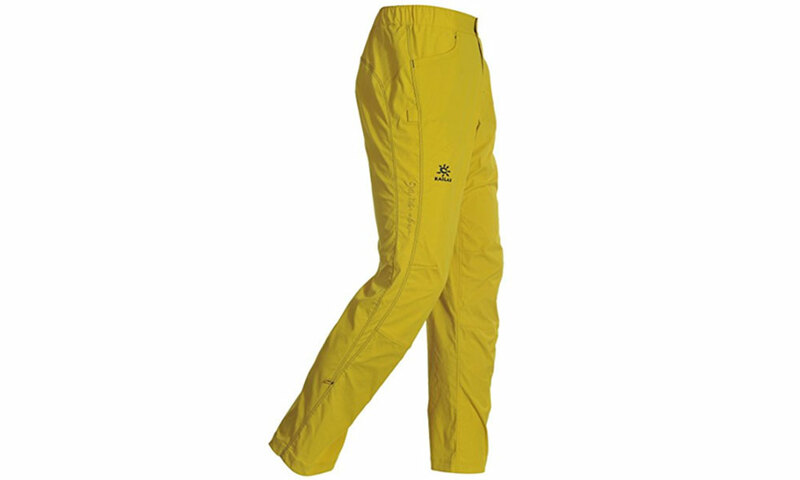 The 9A Pants are one of Kailas’ flagship items. Starting at the top: the pants feature an elastic waist fastened by a button and a strip of velcro. The latter is a nice touch as it allowed me to cinch the waist up that extra a little bit, or have the perfect amount of give on a super-dynamic route. There are two front hip-pockets—that’s it. (No place for your smart phone or your wallet as those things aren’t going to help you on the wall, now, will they?) One of my small gripes is that the pockets could have been a bit deeper, to make them slightly more functional when off the route. The fit is on the snugger side, but these things are stretchy. The four-way stretch fabric, a blend of primarily nylon with a little spandex thrown in for good measure, allowed me to stem comfortably. A gusseted crotch and articulated knees and hips mean, despite the slim fit, there are no awkward pulls or restrictions of movement.The feel of the pants is not as soft as some, so they wouldn’t be my first choice for lounging around the house, but the material is highly abrasion-resistant, standing up to all the wear and tear I put them through in desert cracks and on sport routes alike. These pants also have a couple of tiny features sure to be appreciated by the boulderers amongst us. A secondary loop (in addition to the standard belt-loop) on the back of the waistband is perfect for threading your chalkbag’s strap, and a small loop next to the hip pocket fits a toothbrush-sized brush handle to wipe those overly chalked or greasy holds.